Wir präsentieren Euch unsere Hompage in neuem Gewand und können bereits die ersten bestätigten Bands präsentieren. Neben den lokalen Größen Abrogation und Blackest Dawn, freuen wir uns unheimlich über die Zusagen von Negator und Dawn Of Disease. Negator was forged in 2003. 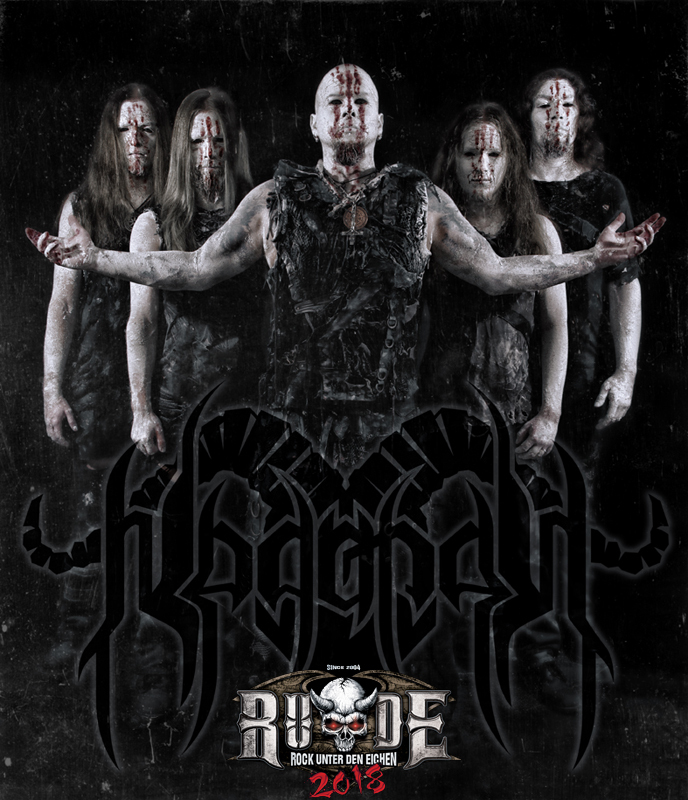 Like-minded musical extremists got together in order to create their vision of blackened metal. As the music of the debut OLD BLACK (2004) did speak volumes, it did not take long until the album was properly released one year after Negator‘s founding. Press and fans alike pretty much showed similar praise of the debut’s spirit, which made OLD BLACK turn into a success story pretty much. 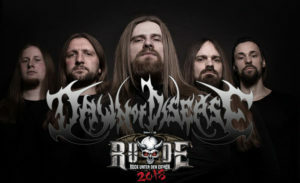 In spring 2009 co-founder and singer Tomasz decided to bring Dawn Of Disease back into being with a nearly completely new line-up. Beside drummer Mathias, who had already been a member of the last known line-up, Lukas (guitars) and Olli (guitars) joined the band. A little later bass player Michael completed Dawn Of Disease shortly before the recording of the first 4-track-promo in November 2009. In June 2010 Dawn Of Disease recorded their first full-length album “Legends Of Brutality” together with Jörg Uken at Soundlodge Studio (God Dethroned, Dew-Scented, Sinister…). About a half year later a record-deal with NoiseArt Records and a booking-contract with Rock The Nation was signed. Swedish Death Metal is a huge influence on the quintet. 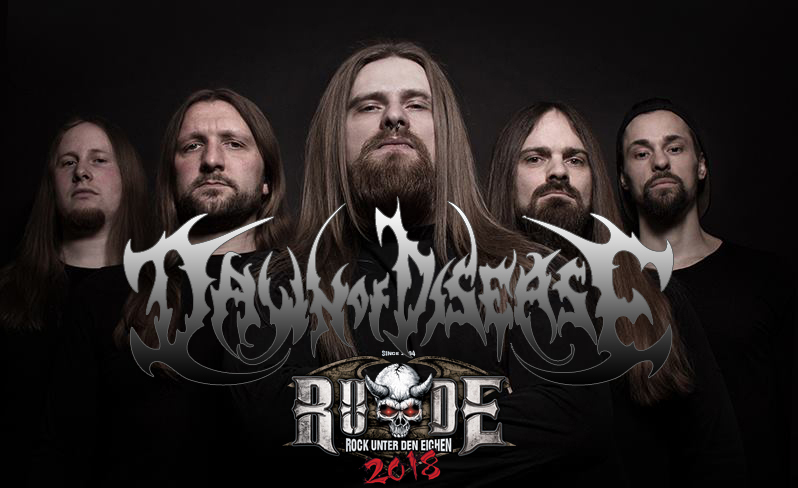 In their songs a big number of typical swedish elements can be found, but Dawn Of Disease are able to add an own style beyond these bounds. Their sound is determined by hardness and melody, subliminal harmonies and killer riffs are accompanied by rapid blastbeats and pounding doublebasses. The vocals, that are between dark growlings, aggressive screams and in-your-face shoutings complete the songs. In January 2012 they entered the Soundlodge Studio once again in order to record their sophomore album. 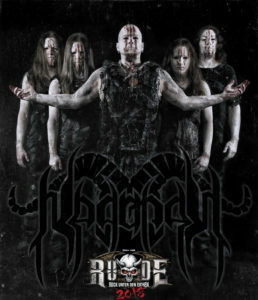 The new piece of Death Metal is called “Crypts Of The Unrotten” and was released on April 27 via NoiseArt Records.